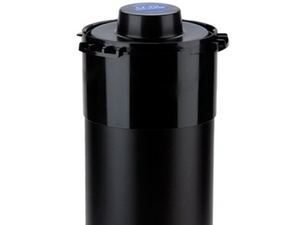 Offer your customers easy-to-access cups with the San Jamar C2410C18 EZ-Fit in-counter cup dispenser. 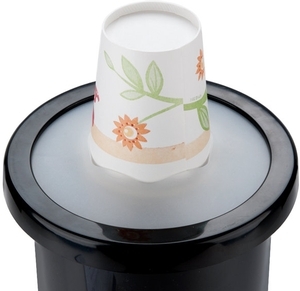 Ideal for coffee or soda stations at your gas station, convenience store, break room, or quick serve restaurant, this cup dispenser makes grabbing a cup quick and easy. Providing cups to your customers couldn't be any easier or more seamless thanks to the in-counter design that helps maintain a clean countertop. For optimum convenience, its versatile design works with a wide variety of cup sizes whether they're made of paper, plastic, or foam! "Thank you San Jamar and Webstaurant Store. I love this cup dispenser. It is durable and easy to work with. 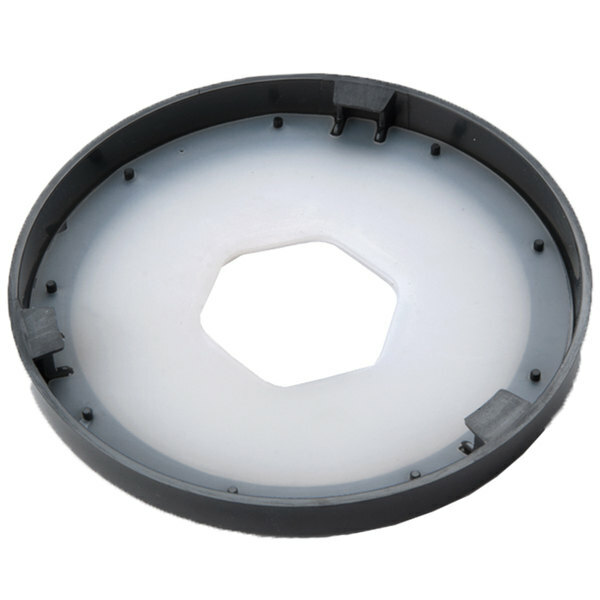 This is a well constructed item." 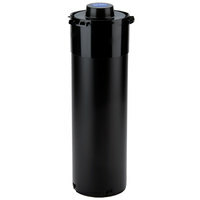 With this dispenser you can use your preferred cups, whether foam, plastic, or paper. Plus, the unit accepts 8-46 oz. 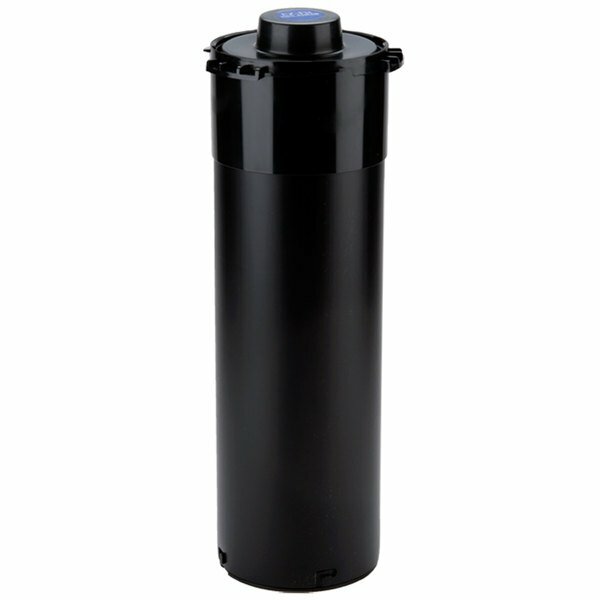 sizes, meaning that you can use this dispenser however you need it, even when those needs change. 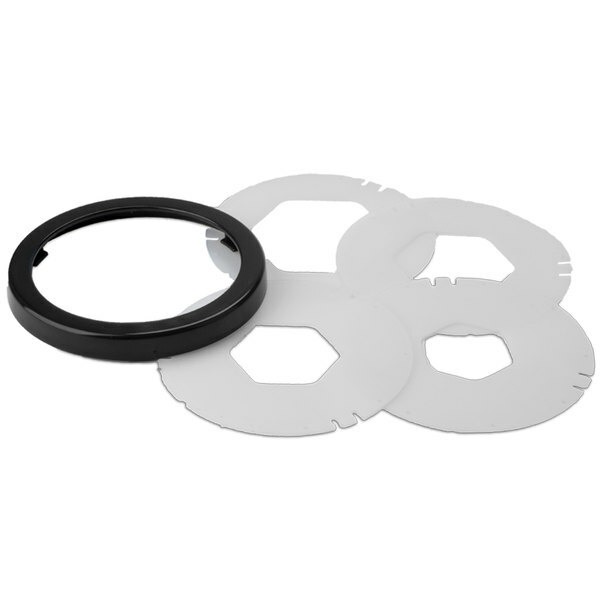 It includes 4 pre-cut, easy-to-change white gaskets that can accommodate cups with rim diameters ranging from 2 7/8"-4 3/4". 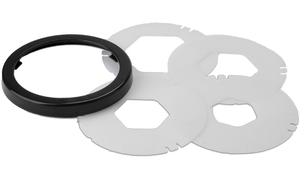 These gaskets foster the dispenser's versatility to make it as convenient for you as possible. 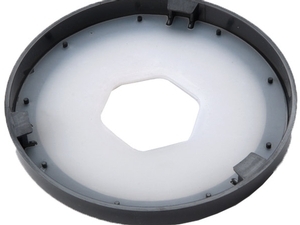 When you want to dispense a larger or smaller cup, just change out the gasket to one of the appropriate size! 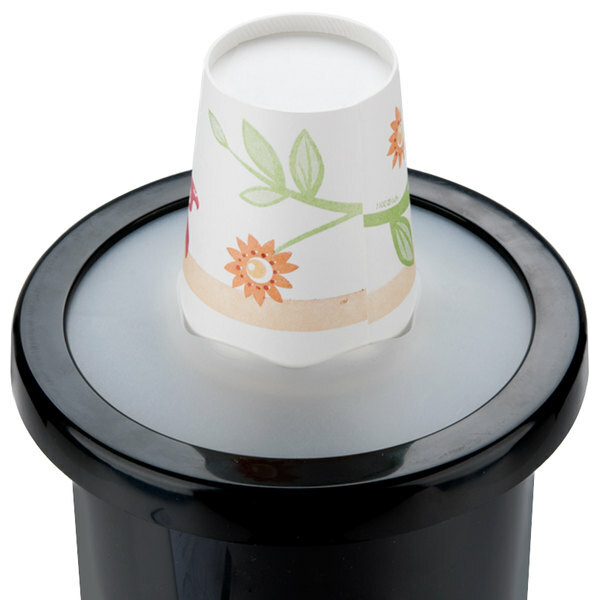 To ensure that you're conserving as much space as possible, this cup dispenser can be conveniently mounted vertically, horizontally, or at a 45 degree angle, depending on your needs. 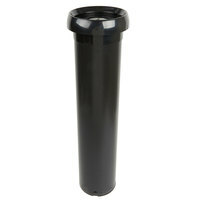 The dispenser sits down into a counter, which saves space on the counter top by concealing the stock of cups. To install, a 5 3/4" diameter cutout in the counter is required. 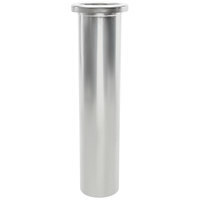 San Jamar C3200CV Stainless Steel Counter-Mount Vertical Plastic or Paper Cup Dispenser - 6 oz. to 10 oz. San Jamar C3400CF Stainless Steel Counter-Mount Foam Cup Dispenser - 12 oz. to 24 oz. San Jamar C3500CF Stainless Steel Counter-Mount Foam Cup Dispenser - 32 to 46 oz. It's sleek and well designed. Great space saver and keeps cups organized. 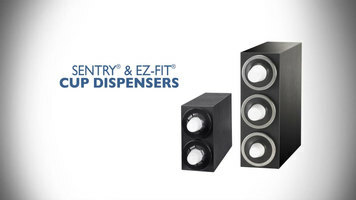 Dispenses cups easily and looks great. No ore falling cups or contamination here. Mounted 4 of these horizontal paper and styrofoam (all around 12-24oz cups use the same lid size) both cups kept coming out on their own. Eventually had to cut some of the spring to lessen the tension but it work. Later I might have to doubling up the rubber ring that holds the cups they seem to be stretching out and getting weaker (also bought 24" ones for my plastic cups had to double up the rubber ring for my 32oz cold cups when it stretched out after 5 months). Thank you San Jamar and Webstaurant Store. I love this cup dispenser. It is durable and easy to work with. This is a well constructed item.